In camp again. Last night the rain came down in torrents drenching everything exposed. I succeeded in getting dry quarters however, when not on duty. And this morning we were relieved and started for camp through the rain and mud and arrived quite wet and very much fatigued. Today has been cold and rainy. We were hurried off so quick that some of us could bring neither over-coats nor blanket in consequence of which we suffered considerable with the cold last night. Not having brought any food with us and not expecting any till late we began to examine the premises around us. 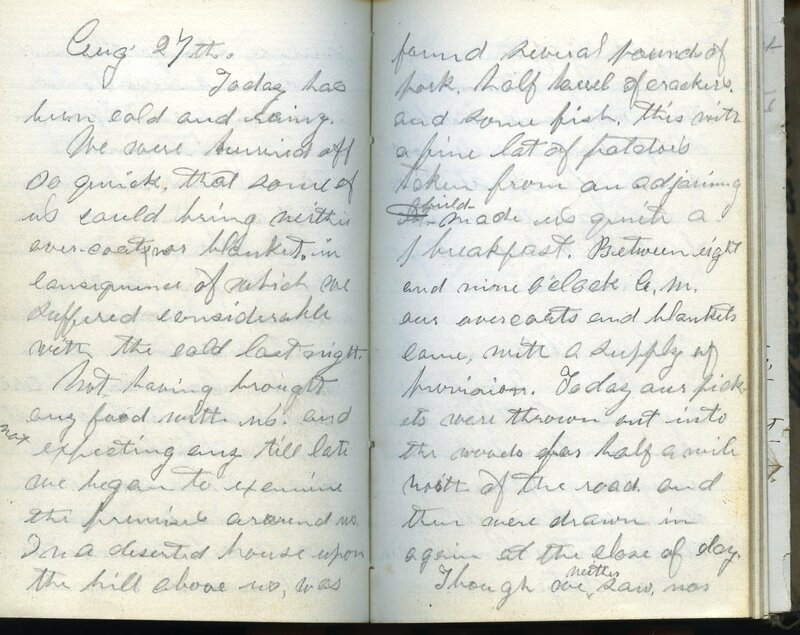 In a deserted house upon the hill above us, was found several pounds of pork, half barrel of crackers and some fish, this with a fine lot of potatoes taken from an adjoining building made us quite a breakfast. Between eight and nine o’clock a.m. our overcoats and blankets came with a supply of provisions. Today our pickets were thrown out into the woods for half a mile west of the road and thus were drawn in again at the close of day. Though we neither saw, nor heard anything of the enemy from our position, still there was considerable sharpshooting done out in the front at Balls cross road, the result of which I have not yet learned. The skirmish at Ball’s Cross Road between Union and Confederate troops took place August 27th -28th. As indicated, Baird did not participate in this skirmish. Read an account from the New York Times here and a map of the area can be found here. Portion of Aug. 26th entry, HCP Collection. Today I paid a visit to the 4th Mich. Regt. to see one or two old acquaintances. This is a healthy robust looking regiment. It is stationed at half a mile west of Fort Corcoran and forms a part of Sherman’s brigade. The 4th is at present engaged in building another fort in a commanding situation to the right of their camp. The work has progressed finely since they began. The boys seem to be in good spirits, jovial and full of life. On my return I passed Fort Corcoran, which presents quite a formidable appearance. It is situated on the opposite side of the river from Georgetown and has a command of the town and river, and the road leading down the canal, beside a large range of country to the west. Passing through one or two other camps,and down the canal road I soon arrived in camp. I had not been long in camp before the alarm was given and the 3rd was called out to relieve the picket guard in the advances. This is a pretty particular duty and in this war has thus far proved to be a very dangerous one. There seems to be so much antipathy existing between the Union and the rebel troops that a sight of each other is temptation enough to draw fire. Quite a number have been killed on both sides in such cases. Company E [Baird’s company] are posted along the road at short intervals in squads of six. While several other companies are thrown out still further in the advance. First portion of Aug. 19th entry, HCP Collection. There is something interesting and [illegible] in camp life. And though it is attended with many inconveniences and often with hardship and suffering it still has something of a charm which makes a man feel perfectly at home. There are blended the serious, the comical, the sentimental and the ludicrous. There may be found men of refinement and accomplished educational attainments. Men whose hearts beat high with generous impulses, men in whose hands might well be trusted the nation’s honor. There may be found men of fortitude and courage and to whom danger and difficulty would seem but as passing scenes of every day occurrence which to in [illegible] would be but to overcome. There may also be found men of weak minds, and of dastardly and cowardly dispositions. Men to whom vice is more sacred than virtue, men who are sunk to the lowest ebb of depravity and who would delight as much in distruction of their fellows by their their own corruption, as their on distruction is sure. But the latter form an exception. I am happy to say that I believe that a great majority of the American army, though not strictly moral, are possessed of enough of the principal of justice and honor to detain them from acts of crimination, or from a desire to lead others into such measures. Here there are many too whose lives are in strict conformity to the morality and religion, and whose acts and virtue we would do well to coppy. But these, alas; also form an exception. Thus a man who loves to study character and human nature will find no better place than in the Camp. The scenes in camp are also varied. The things that occur today, are often entirely different from those things that transpired the day before. The mode of cooking, which is after a primitive fashion, and the ridiculous eagerness of the soldiers to obtain their food, with their manner of eating it, often forms an interesting and laughable scene. But above all the most exerting is packing up for a march. Everything is then all in a bustle and confusion. Camp kettles and eating utensils are hurried together. Soldiers hurrying hither and thither, packing their knapsacks, cleaning their guns, and striking their tents, lashing the wagons, with the usual hurry flurry impatience of the officers presents a picture at once lively and interesting. Today our camp at Hunters Place presented such a scene. After everything had been packed and loaded and all men ready, we were formed into line and marched in our present camp above Fort Albany. From this camp (as from most others we’ve occupied since 21st July) we have a beautiful view of Washington and the Patomac. The Mich 2nd and the N.Y. 34 are stationed just to the west on our rear. The Mass 14th at Fort Albany. 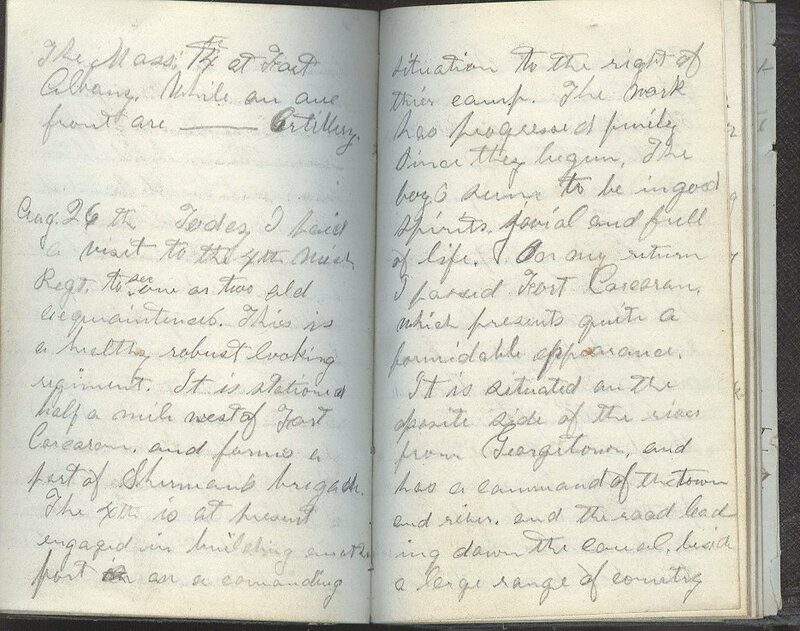 While on our front are ________ [Baird left purposely blank to fill later] Artillery. Above, Baird references that the 14th Massachusetts Infantry was an artillery unit at Fort Albany. In fact, the unit was reorganized on June 20, 1861 becoming First Regiment Massachusetts Heavy Artillery. 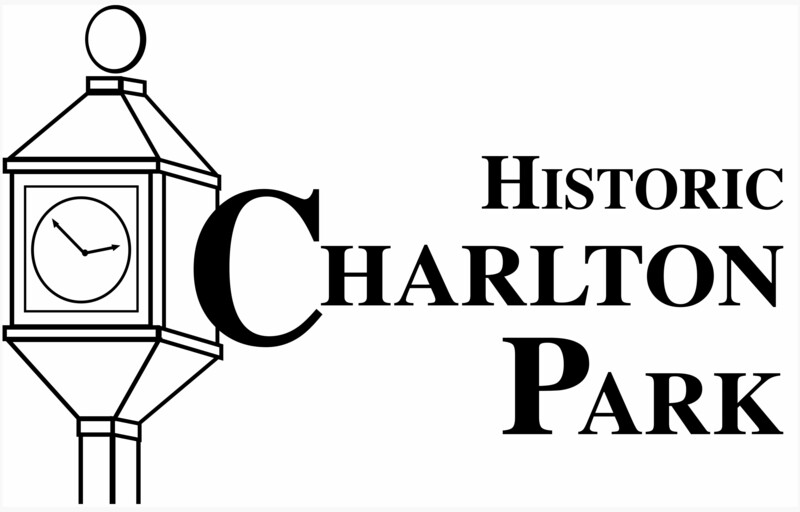 To see a map of the many fortifications constructed to protect Washington, D.C. click here. Zooming in will give you a better idea of how close together many of the forts were. Portion of Aug. 19th entry, from HCP collection. 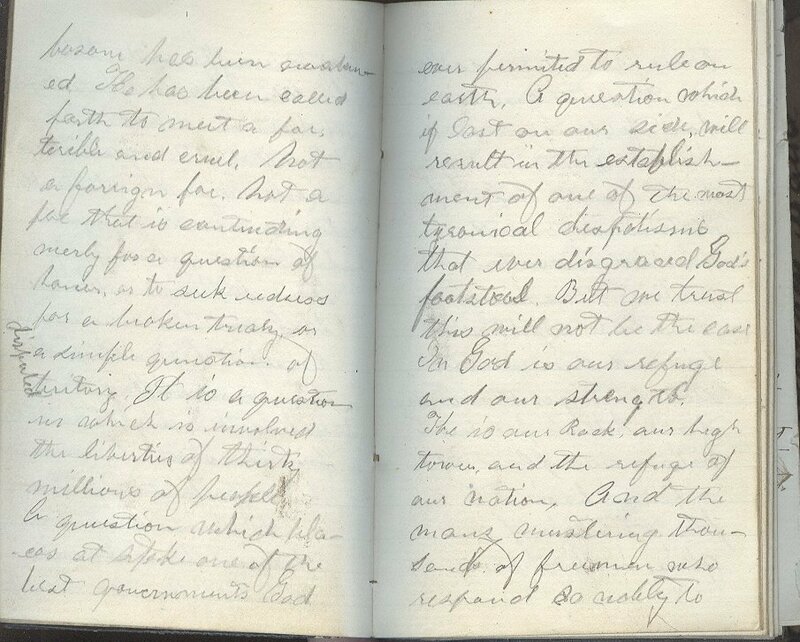 Baird’s second diary begins on August 19, 1861 with his thoughts on life and love of country. 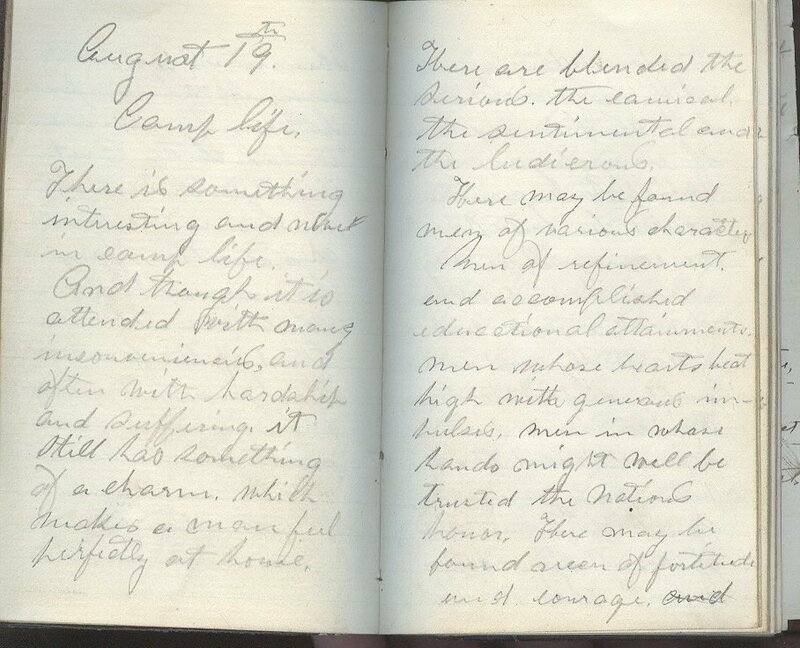 There is a second entry dated August 19th, which discusses life in camp. Due to this repetition, we are posting the first entry early. The second specifically addresses camp life and the military and more of a standard entry, using the first diary for comparison. Hunter’s Place was on the Alexandria, VA side of the Potomac River. There is perhaps no sentiment so dubly or so strongly implanted in the bosom of man as the love of country. This Sentiment is a natural one. It grows up with a man from his infancy. Hence its depth – its strength. But it begins at home. Throw a peble into the stream and the eddies that form around the place where it strikes become larger and wider till they vibrate to the utmost limit of its shares. Thus with man, his love of country begins at the hearth-stone on which falls the whitened ashes, & dying embers of the evening fire. It begins where he first feels the merest joys of childhoods hours. It begins where he first participates in the innocent pleasures of his schoolboy days. He first learns to love the flower beds and garden walks, which his earliest recollection tells him were planted and formed by his mother’s hand. Next, the surrounding fields, the hills, the tiny vales, the murmuring brooks and the “deep tangled wildwood” attract his attention, and around which cling the affections of his youthful heart. Soon however his ideas expand. In his loved schoolroom he studies Geography. Then in his imagination he views wide extended plains, lofty mountains, broad, deep rivers and populated cities. He sees cultivated fields, busy workshops, and numerous mercantile establishments. Next his quick perceptive faculties take in the Government with all its different branches, its administrators, its advisors, its supporters, and its dependants. He sees mighty armies, large fleets and an extensive commerce. And here he begins to comprehend the greatness and glory of the nation. Then the light breaks in upon his mind and he exclaims, my country, my native land. For this he is willing to sacrifice all that is great in life. The easy arts of home, the society of friends, the acquisition of property or the property which he may have, and even life itself. For his country the true patriot will endure without complaint every privation, and hardship, hunger and thirst, toil and fatigue, and even sickness and death. When Peace with all its blessings smiles upon his country and his home, when with her balmy breath she cools and soothes the flames of contention, and spreads the fragrance of to every fireside, then he thinks only of his home and the loved ones there. But when the fires of war are lit up. When the terrible foe is marshaling in battle array and the bugle sounds; to arms, dutifully he the haunts of peaceful life, rallies to his countries flag and goes forth nobly to battle for his nation’s honor, as his countries rights. Thus it is at the present time. Every emotion in the patriots bosom has been mastered. He has been called forth to meet a foe, terrible and evil. Not a foreign foe. Not a foe that is contending merely for a question of honor, or to seek redress for a broken treaty or a simple question of territory. It is a questions in which is involved the liberties of thirty millions of people. A question which [illegible] at stake one of the best governments God ever permitted to rule on earth. A question which if lost on our side, will result in the establishment of one of the most tyrannical despotisms that ever disgraced God’s footstool. But we trust this will not be the case. In God is our refuge and our strength. He is our Rock, our Light tower, and the refuge of our nation. And the many mustering thousands of freemen who respond so nobly to their countries call in this greatest hour of danger, with a humble, yet confiding trust in the Rules of Nations, tell us that we shall succeed in quelling this haughty, ambitious and virulent foe, and thus unite still stronger the bonds of our hitherto prosperous nation, and place upon a firmer basis the foundations of our glorious Republic. Then let us put forth every effort in our power. Let every freeman awake to his duty. And “Let this be our motto in God is our trust. And the Star Spangled banner in triumph shall wave. Over the land of the free, and the home of the brave”.